For Malik (who chronicles her style journey on Instagram under the handle @malikawears), the height of that elegant sophistication is embodied by two royals: Queen Rania Al-Abdullah of Jordan and Sheikha Moza bint Nasser of Qatar. 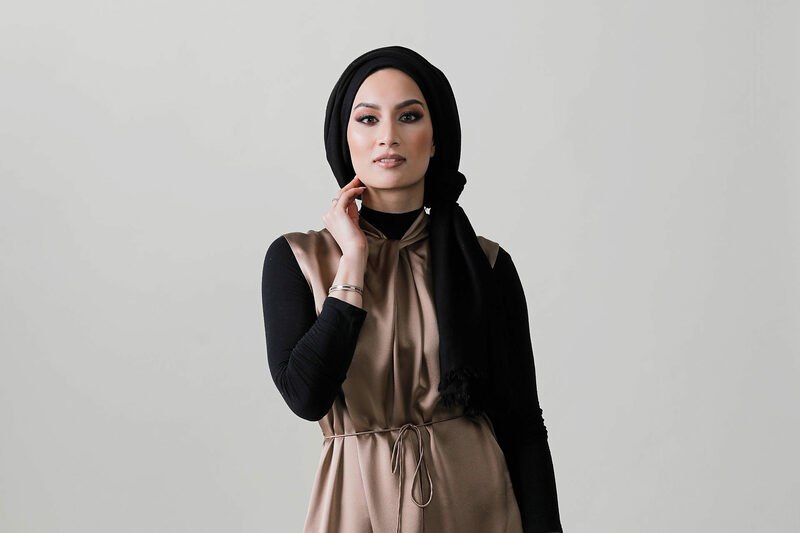 The University of Calgary grad interprets her own look by keeping modesty front of mind, balancing more form-fitting items such as tailored pants with looser tops, and keeping her sleeves long and her necklines high. 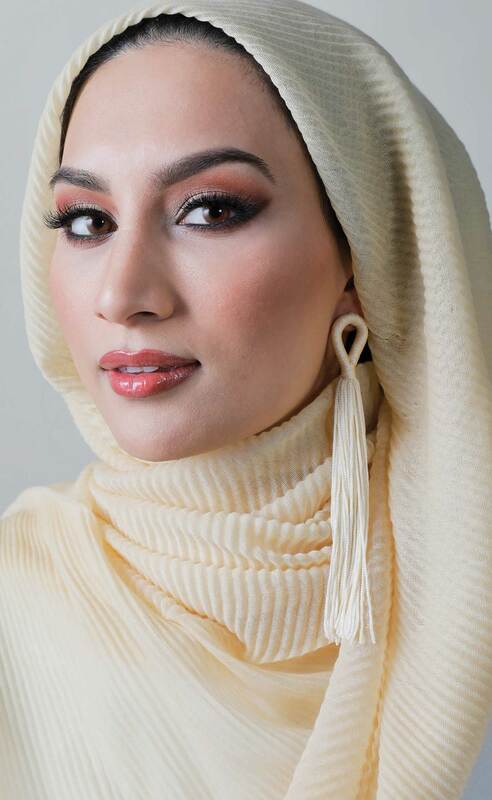 “I really think that once I started wearing the head scarf I came into my style,” Malik says. Dress by Vince; shirt by Gap; scarf, personal collection; shoes by Nine West; bracelets by Daniel Wellington (right arm) and Pandora (left arm); rings by Pandora. Photography by Colin Way; self-styled by honourees with consultation by Styleista; Makeup by Joanne Black; hair by Sue Thompson. Scarf personal collection; tassel earrings from Aldo. Photography by Colin Way; self-styled by honourees with consultation by Styleista; Makeup by Joanne Black; hair by Sue Thompson. Shirt by Mastuli Khalid; skirt fom Sirens; bracelets by Pandora; rings by Pandora; scarf, personal collection. Photography by Colin Way; self-styled by honourees with consultation by Styleista; Makeup by Joanne Black; hair by Sue Thompson. Earrings from Aldo. Photography by Colin Way; self-styled by honourees with consultation by Styleista; Makeup by Joanne Black; hair by Sue Thompson.